You will love this delightful 2-story Stratford model in Great Amberleigh neighborhood. This beautiful home has 2-car garage, 3,000+ sq. ft. of specious elegance. 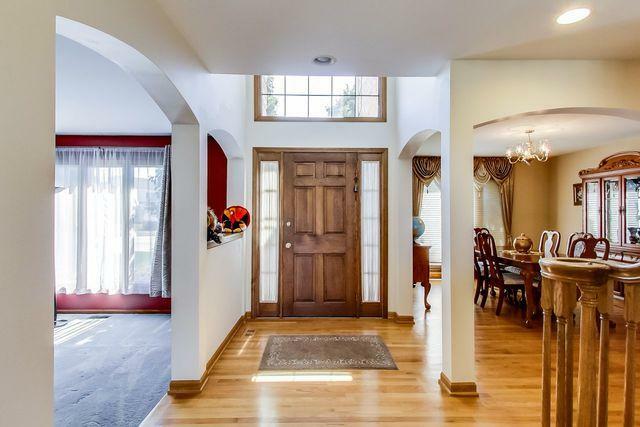 Natural light pours in from vaulted 2 story foyer which leads to open 1st floor layout. 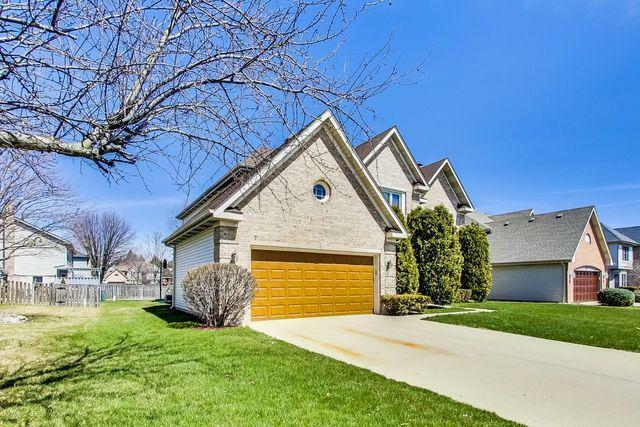 Primary features include 4 bedrooms+1 bedroom in basement, 2.5 bathrooms, hrdwd floors, remodeled modern gourmet kitchen with granite countertops, high end stainless steel appl, & window overlooking fence yard. Specious 2 story family room off by the breakfast area with slider to the beautiful patio and connected to a large den, cozy fireplace located in a quite living room. Huge master bedroom suite with 2 walk-in closets, master bath with separate shower & double vanity, & soaking tub. Spacious bedrooms, large guest bathroom with double vanity. Finish basement with 5th bedroom & large recreational area. New water heater, A/C, patio doors, garage door with opener, & all windows, newer roof. Walking path takes you to park and school!